Did John Fogerty Write “Centerfield” After Watching the MLB All-Star Game From the Centerfield Bleachers? « Was the Owner in Major League Originally Secretly the HERO of the Film? 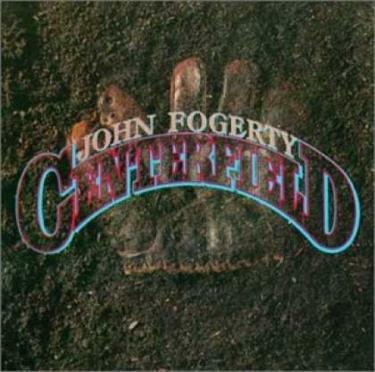 BASEBALL/MUSIC URBAN LEGEND: John Fogerty wrote “Centerfield” after watching the 1984 All Star Game from the centerfield bleachers at Candlestick Park. “Having grown up as a rock-and-roller, I was more into what kids my age were doing. Rock-and-roll has a certain set of formal dogmas, and the rule book says, ‘Anything that is perceived as lame, we don’t want it around here.’ Over the years it seemed like sports songs just didn’t qualify into the rock-and-roll lexicon. There was that unwritten distinction. It was never considered rock-and-roll.” Fogerty, naturally, challenged that notion with his classic 1985 tune, “Centerfield” (the title track to his comeback album of that year, an album that reached #1 on the Billboard charts) which both became an acclaimed rock ‘n’ roll song as well as a an instant baseball classic. 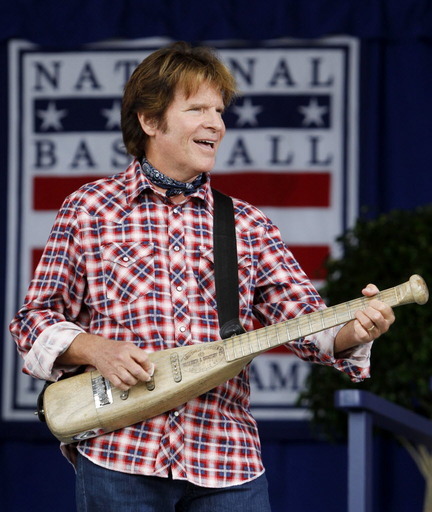 Nowadays, it is among the most famous songs ever written about baseball and it is even enshrined in the Baseball Hall of Fame (here is a picture of Fogerty at the event – note his baseball bat guitar)!! There is a good deal of folklore about the song, which is about a baseball player who just wants a chance to play “Put me in, coach – I’m ready to play today; Look at me, I can be centerfield” – a sentiment that Fogerty explains also works as “a metaphor about getting yourself motivated, about facing the challenge of one thing or another at least at the beginning of an endeavor.” Probably the most common legend about the song is that Fogerty was inspired to write the song after watching the 1984 Major League Baseball (MLB) All-Star Game in the center field bleachers in San Francisco’s Candlestick Park, just a hop, skip and a jump from Berkeley, California, which is where Fogerty was born. It is a good story – but is it true? 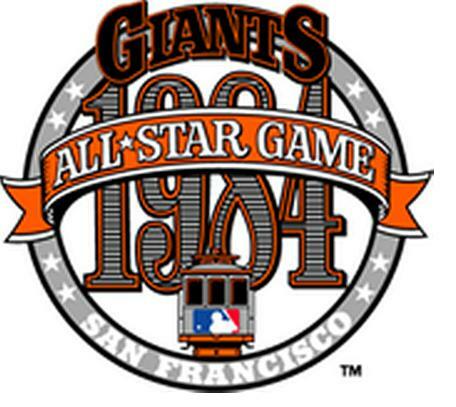 Still, even with the emphasis on Yankee baseball, it is true that Fogerty did, indeed, attend the 1984 MLB All-Star Game at Candlestick Park in San Francisco. Toward the end of 1983 he finally regained his muse. “Stuff just suddenly started to click. So much so that I began to think, ‘I’m gonna be able to make a record pretty soon.’ He came up with about twelve songs but narrowed the song list down to the nine that appear on the album. I’d hear about Ruth and DiMaggio, and as my dad and older brothers talked about the Babe’s exploits, their eyes would get so big. When I was a little kid, there were no teams on the West Coast, so the idea of a Major League team was really mythical to me. The players were heroes to me as long as I can remember. The song was my way of putting an identity on all the tales I’d heard. It expressed my state of mind about me that was honest at the time. Thanks to Tom Singer, Rolling Stone and, of course, John Fogerty for the information! This entry was posted on Wednesday, July 15th, 2015 at 10:43 am	and is filed under Music Urban Legends Revealed. You can follow any responses to this entry through the RSS 2.0 feed. You can leave a response, or trackback from your own site.